St. Martin's Griffin, 9780312597283, 288pp. ...you were better at persuading others and negotiating for what you want. ...you were more fluent at introducing yourself, making conversation, and following up. ...you were better at delivering feedback, receiving criticism, and using positive language. ...you were perceived as more diplomatic and charismatic. Smart Talk applies up-to-date communication research to everyday situations and gives smart, practical, step-by-step directions to achieve results. Smart Talk is no ordinary book— it's the Swiss Army Knife of communication—a comprehensive set of tools to build strong relationships and avoid communication breakdowns. With proven strategies and practical action plans, Smart Talk will help you resolve conflicts, strengthen your natural charisma, and master the art of persuasion. Never again will you dread a holiday party or be rendered speechless at a business meeting. Backed by solid research and written in an engaging narrative style with a warm sense of humor, communication expert Lisa B. Marshall translates her wealth of experience into practical, fresh advice to help you navigate any complex situation, and achieve professional success. Lisa B. Marshall is a communication strategist, author, and professional speaker who has been helping organizations improve productivity by improving their communication skills for over a decade. Her award-winning podcast, The Public Speaker’s Quick and Dirty Tips for Improving Your Communication Skills, has earned nearly 7 million downloads since launching in 2008! Lisa has been featured on CBS Money Watch, Ragan.com, Woman’s Day, Cosmopolitan, and many other media outlets. Her clients include Roche, Genentech, The American Heart Association, Merck, Exxon Mobile, Harvard, and Stanford, just to name a few. Lisa produces a daily business newsletter, Communication Success, for the Hewlett-Packard ePrint Center, which reaches up to 500 million enterprise printers globally in three languages. 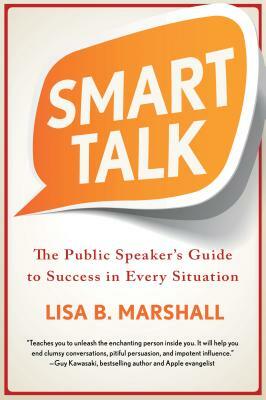 Lisa is also the author (and reader) of the audiobook The Public Speaker’s Guide to Ace Your Interview. She holds a master’s degree in interpersonal and organizational communication from the State University of New York. She lives near Philadelphia with her husband and two children.